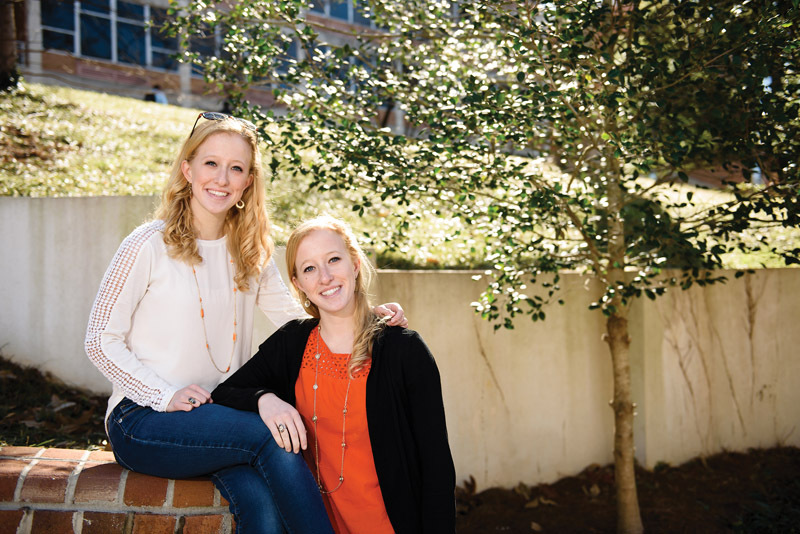 The vast majority of our alumni are undergraduates, and for many of us, when we talk about the “Clemson Experience,” we’re thinking about those four (or more) years we experienced on campus working on our bachelor’s degrees. 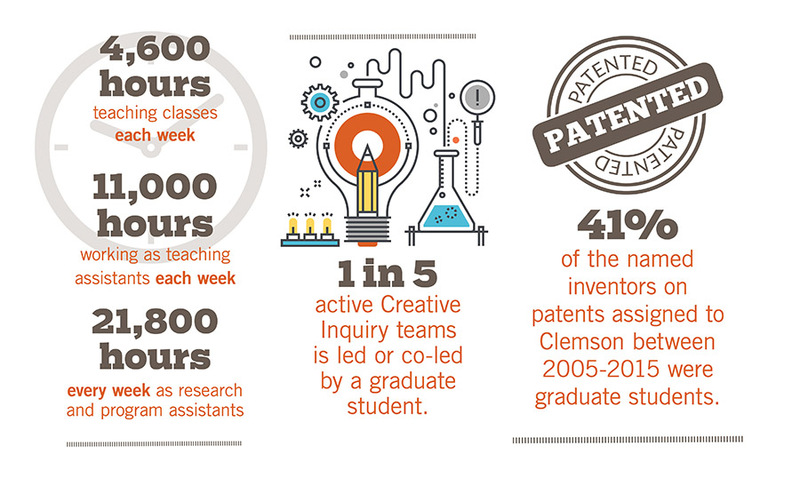 What you may not know is that 20 percent of current Clemson students are graduate students, working on master’s or doctoral degrees in fields as diverse as human-centered computing, automotive engineering, and travel and tourism. 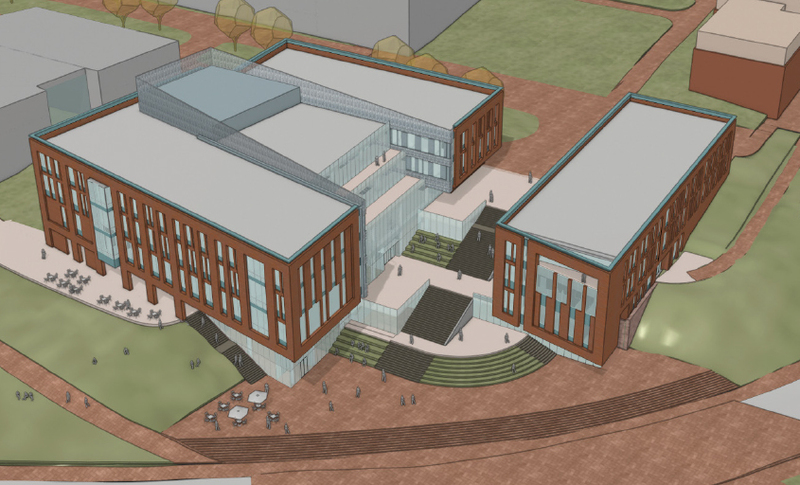 While those students go to class and perform research, they also teach and run labs, work in departments across campus, and add to Clemson’s reputation in the world with their transformative research. 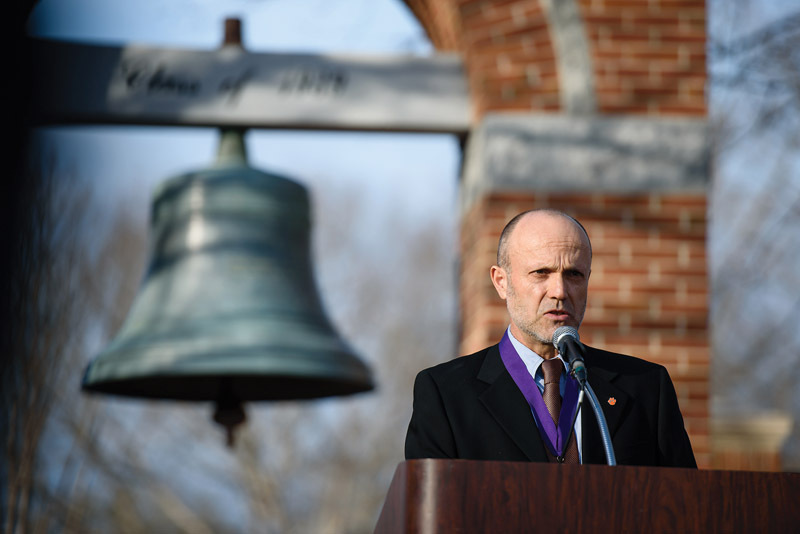 The 2016 Class of ’39 Award for Excellence was announced at the December faculty meeting, but the official presentation to Antonis Katsiyannis took place in February in front of the bell that bears the names of all those who share the honor. Katsiyannis, who holds the title of alumni distinguished professor in special education, is known for his teaching, his research and his service, both in and beyond the University. Now he has the added designation of being an honorary member of the Class of 1939, which endowed the award to commemorate the fiftieth anniversary of the class. Recipients are chosen by their faculty peers to represent the highest achievement of service to the student body, University and community, state or nation. Katsiyannis was recently recognized with the 2017 Outstanding Leadership Award by the Council for Children with Behavioral Disorders in recognition of his wide-ranging and exemplary service in the field of special education. He has published 180 articles in legal and policy issues and delinquency in professional journals, such as Behavioral Disorders, Exceptional Children, Remedial and Special Education, Fordham Urban Law Review, and the Journal of Special Education. He serves as an associate editor for Remedial and Special Education and Intervention in School and Clinic and just completed a five-year term as co-editor of the Journal of Disability Policy Studies. He has mentored numerous graduate and undergraduate students in publishing in professional journals and serves as a co-investigator of a federally funded grant — Project EXPERTISE. He also is president of the Council for Exceptional Children. He has served as president of Clemson’s Faculty Senate and has been active in community-based activities for children with developmental disabilities such as TOPSoccer and Challenger League (baseball). Like many universities, Clemson struggles with attracting and retaining women and underrepresented minorities as faculty. That problem is magnified in STEM (science, technology, engineering and math) fields. 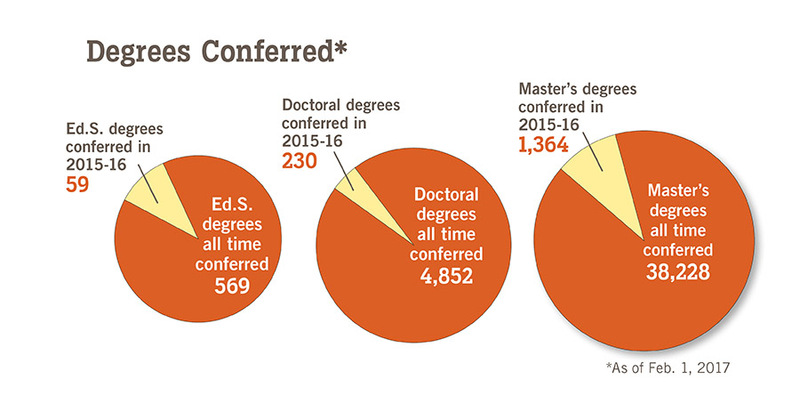 Across the campus, 35 percent of full-time faculty are women. In STEM departments, the percentage drops to 19. When racial diversity is factored in, the statistics are even grimmer. Only one of the 509 STEM faculty members is an African-American woman; two are Hispanic women. 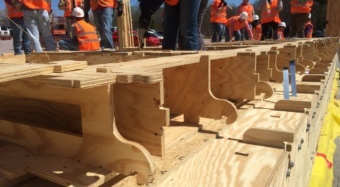 In an effort to improve those numbers, Clemson has launched an initiative funded by a $3.4 million National Science Foundation (NSF) grant to create an inclusive academic culture so women and underrepresented minorities are encouraged to enter and remain in academia. 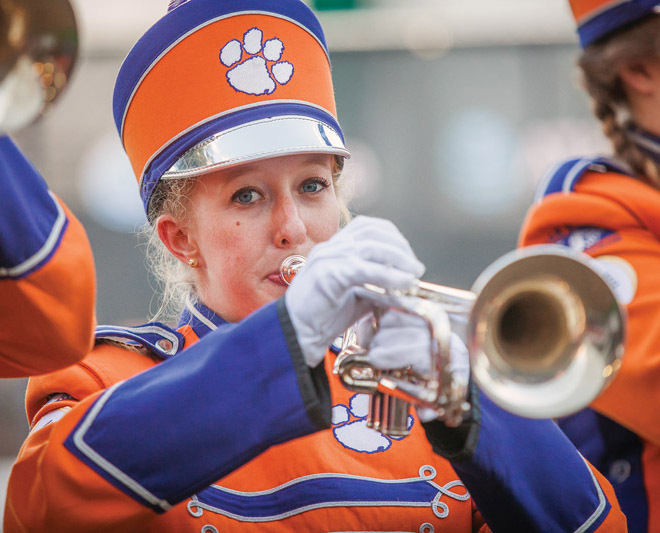 While the national initiative is called ADVANCE: Increasing Participation and Advancement of Women in Academic Science and Engineering Careers, Clemson’s program is nicknamed Tigers ADVANCE, and it has a greater goal: to build a culture that encourages diversity, inclusiveness and acceptance. • Transform the culture and improve the campus climate to reduce bias and implicit bias against women and minority faculty. • Increase the representation of women in STEM fields. 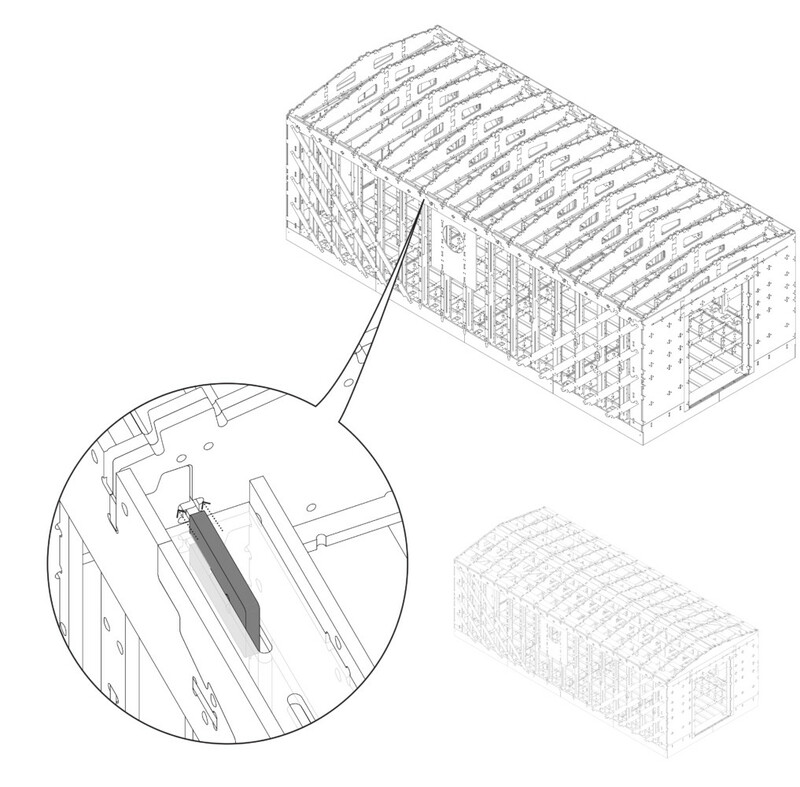 • Ensure equitable workload distributions so appointments to committees, special projects and other non-academic activities are assigned equally across the faculty. • Enhance faculty mentoring and leadership development to support all faculty and increase retention. • Implement family-friendly policies to help improve recruitment and retention of world-class faculty. 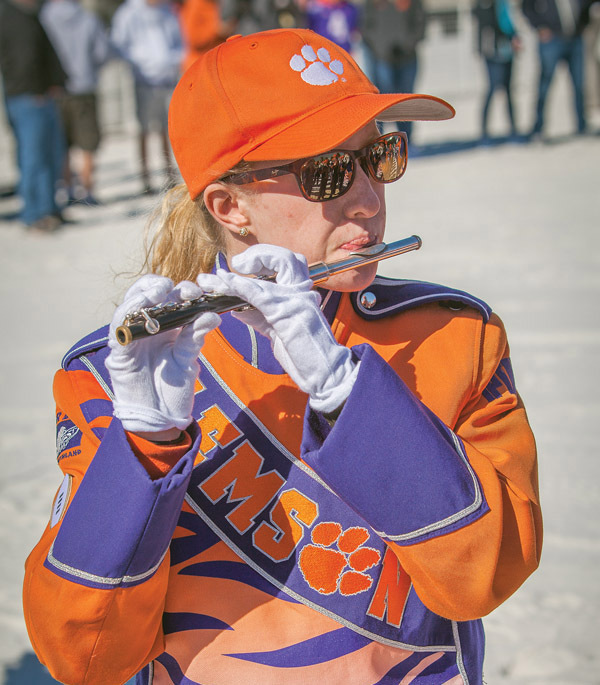 With Tigers ADVANCE, Clemson will increase the number of women being considered for faculty positions and put measures in place to retain female members. 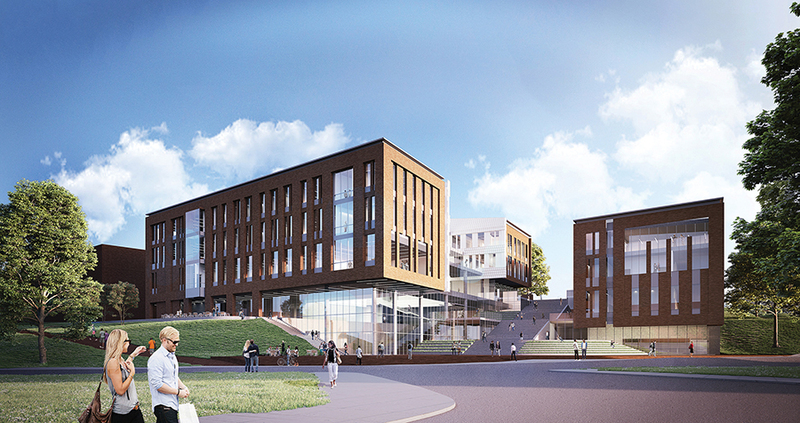 “We will strive to match the representation of women in faculty positions to the number of candidates available for those positions in the national pool,” Atamturktur said. 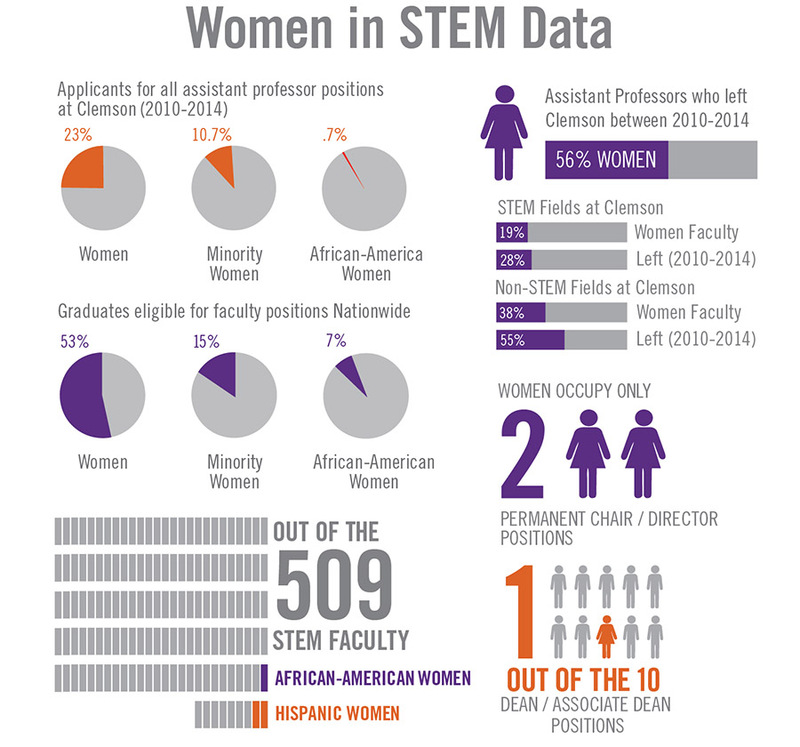 Of the 14,499 faculty applicants to Clemson between 2010 and 2014, 23 percent were women, 10.7 percent were minority women and 0.7 percent were African-American women. Of all eligible doctoral degree graduates in the country, 53 percent were women, 15 percent were minority women and 7 percent were African-American women. Likewise, although women receive tenure and promotions at rates equal to men, women leave Clemson at rates higher than men. Between 2011 and 2014, 56 percent of assistant professors (pre-tenure faculty) who left were women. Among STEM faculty, 28 percent of tenured or tenure-track faculty members who left were women, although women made up only 19 percent of the faculty.